Online registration is closed, Members and Guest may register at the door. Up.. Up.. In The Air! 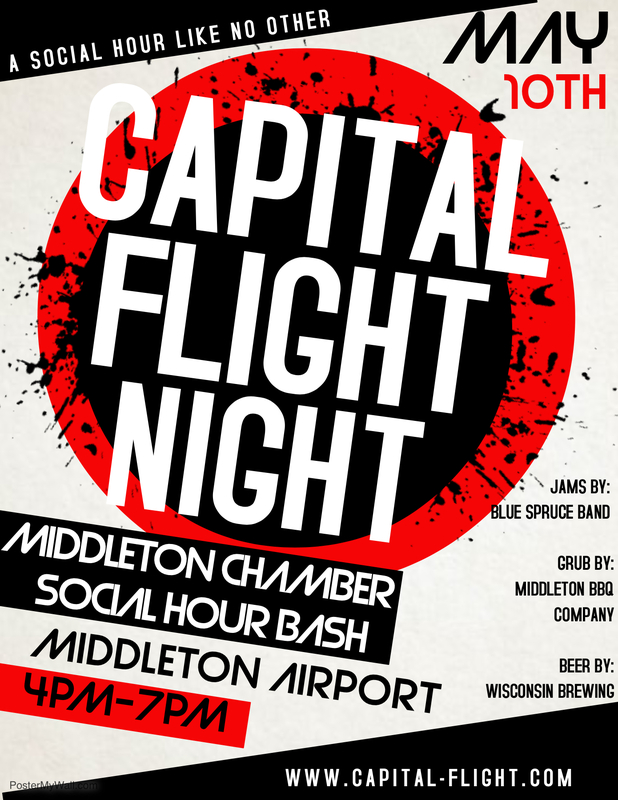 Join us at Capital Flight for our May Business Social Hour. Enjoy refreshments from Wisconsin Brewing Company, savory food from Middleton BBQ and music from Blue Spruce. Would you like to see your business from the air?